October 12, 2016 – DJI, the world’s leading maker of unmanned aerial vehicles, and Shapeways, the world’s largest maker space and marketplace for 3D printing, last Saturday announced the winners of a design contest to create unique 3D printed accessories to help use drones for search and rescue purposes. The 3 runners-up were designer Cary Lucier of SAR3DO who designed a self-releasing rescue delivery capsule; Haydn Bao and Warren Alexander with a design for a “search and whistle”; and Jet Townsend also with SAR3DP who designed a dye marker bomb/buoy. The runners-up each got a $500 Shapeways printing credit. 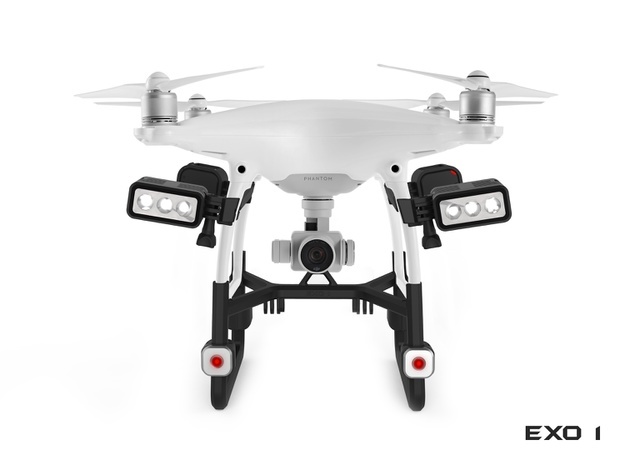 Unlike other companies that create their own accessories to accompany feature products, DJI encourages creativity and enables its customers to design their own products through its Software Development Kit. Since 2013, drone enthusiasts have used Shapeways to create add-ons for their personal drones and offer them for sale in the Shapeways marketplace. DJI’s Phantom 4 with its sleek body, integrated camera, and long range make it a search drone for everyone. The challenge is to make it the ultimate rescue drone. Severe weather, bad visibility and challenging terrain are classic hallmarks of any search, complicating an already challenge rescue operation – finding a missing person in a large area. By adding 3D-printed accessories that can prove the drone’s visibility and carry live saving payloads, first responders could cover a larger area, cutting response times while keeping the ground crews updated and safer by providing local terrain information and deliver communication equipment or a first aid kit. Shapeways is the world’s leading 3D printing service and marketplace for consumers, empowering everyone to bring amazing products to life. By giving anyone the ability to quickly and affordably turn ideas from digital designs into real products, Shapeways is fundamentally changing how products are made and by whom. Shapeways produces roughly 3,000 unique products every day and over 1 million unique products annually. Headquartered in Manhattan, Shapeways also has factories and offices in Long Island City, Seattle and Eindhoven, Netherlands. For more information and to be part of this creative community, visit Shapeways.com, and follow us on Facebook, Twitter, Instagram and YouTube.